Allow me to begin the year with a story that I have been meaning to share for quite some time-a story of persistence, perseverance, and success-a story about the life of an Eritrean woman in exile. She insists that she is short-I say she is of average height. What makes Ellen Kidane a tall woman in my view is not her physical structure, but rather, it is her unwavering and enduing stamina. Like most of us, she too is prone to aches and pains, but her can-do attitude helps her endure much. Born to a farmer and oldest of many siblings, she began working at a very tender age- tending to animals and helping her father on his farm. She traveled with her father to “bahri’, seaside, away from Rie’si Adi, a village near Ghindae where she worked on the family farm from February to May every year during the planting season. At the end of the planting season, the rest of her family would join them. A hard beginning in life would give Ellen the strength to tackle much more in her uncertain future. Ellen remembers those days quite fondly. Ellen began formal schooling at age 11 and didn’t get a chance to fully attend school regularly, so she was unable to read or write proficiently. Her education and her life would come to an abrupt stop when she was sent to a life of exile that would begin in 1973 and would change her life forever. She was brought to the United States to work and live with a family in Denver, Colorado. She was only 16 years old. But she took on the challenge and worked diligently, providing invaluable service to the family, raising their children so they could pursue their advanced education and work in the United States. Ellen saved her earnings, and supported the family she left behind in Eritrea. Ellen’s employment in Denver would come to an end and was transferred to another family in the Washington, DC area. In the early 70s, the Eritrean community, made up of mostly students was small, but politically active. It was during her employment in DC, at the home of an Ethiopian Embassy employee, that she would by chance encounter, meet a woman who would change her life. The woman was a lady known affectionately to all Eritreans as Mama Sara. There were some Eritrean mothers who came to the United States to work as housekeepers and she was one of them. These women quickly found their way to Eritrean community centers where they, like their global counterparts, were instrumental in providing monetary and other support to the liberation movements. Mama Sara continued her contact with Ellen who was now working for an employee of the Ethiopian Embassy. Of course they kept their conversations secret. It was during one of her conversations that Mama Sara offered to “liberate” Ellen-free her from what was considered then to be “domestic slavery”. At first Ellen declined as she felt responsible for the children she was raising and did not want to disrupt their lives. Ellen asked Mama Sara to help two other women instead and they were “liberated” shortly. Ellen did not hear from them for almost six months-they were afraid of getting her into trouble with her employer. Her employer would soon find out about the “liberation” of the two women and afraid that Ellen would also leave, decided to intimidate her with horror stories about being caught by immigration officials and being deported to Ethiopia and worse. Ellen decided to stay put…for a while. Over the next three years, her relationship with her employer soured and Ellen felt it was time to move on. She called Mama Sara to let her know she was ready. There would be many phone conversations after that, as she prepared to leave. Unable to read or write and not able to give her address, Ellen began devising ways to the address for the home that she was living in. One day, she went to a neighbor’s house and asked to use their phone and while she was there, explaining that she could not speak English, asked him to give the person on the phone her address-which he did. Soon after that, she would get a surprise visit. A couple of young men approached the house and asked for her. After a brief introduction, as they talked with her employer, she stepped into the kitchen to prepare tea for the guests. While she was in the kitchen, the men explained their presence by claiming to be family friends and that they were there to deliver bad news…That Ellen’s father had passed away and they were there to request that Ellen be bought to their home so that they could deliver the news to her. It was off course a lie, but the only plausible excuse they could find at the time to pull her out of that house. Ellen left the home with only the clothes on her back-no passport, no identification of any kind. She felt secure, safe. She was with Eritreans. After a few days, Ellen would call her former employer and let her know that she was not returning and made arrangements for her passport and other personal effects to be returned. Ellen was introduced to Eritrean politics through the Association of Eritrean Students in North America (ENASA), an organization affiliated with the Eritrean Peoples’ Liberation Front (EPLF). ENASA provided her with $50.00 per week pocket money until l she could renew her visa and get her papers in order. The members of the organization, as part of the Eritrean People’s Liberation Front’s campaign to eradicate illiteracy also taught Ellen how to read and write in Tigrinya. She was given political education and introduced to the National Union of Eritrean Women (NUEW), an organization established in 1979. 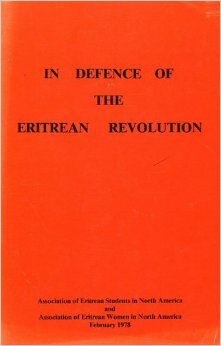 So much was happening at that time and the global Eritrean movement for liberation was in full swing. Ellen’s life would take another turn-she met and married her husband in 1979, and they moved to Texas. Eritrea Ethiopia border conflict, when she believed she could play an active role in the community that she decided to become a member of the National Union of Eritrean Women. She has been a prominent member since, and that is how I met her. Some of the elderly women died in exile, but Mama Sara was one of the lucky ones, she moved to Eritrea right after Eritrea’s independence in 1991, hoping to re-unite with her only son-a freedom fighter. That did not happen-her beloved son was one of the 65000 martyrs of the liberation war. Mama Sara died in Eritrea a few years after independence. She, like many of the gallant Eritrean women in the community, is remembered for her unflinching support for the development of Eritrean women and her support for the liberation of Eritrea. Every event held included a coffee ceremony and Ellen was always the person making and serving it. At the annual Eritrean Festivals, and at community events held at various schools, and at international events at Union Station, Capitol Hill etc. Ellen always served the traditional coffee and it was a joy to see her as she washed the greenish coffee beans and roasted them in her menkeshkesh, a small metallic pan attached to a long handle, until they were medium brown in color and glistening. Covering her menkeshkesh with a small round straw mat, meshrefet, she would prevent the smoke-filled aroma from escaping as she walked around her guests and let them take a whiff. Ellen would then grind the beans and pout the ground coffee into a clay pot-the jebena. Sometimes, Ellen used the single pot gas cooker, but choses mostly to use the fernelo, a traditional stove, for making the coffee, especially when the events are held outdoors. While her coffee brewed, Ellen prepared the himbasha, traditional bread, some popcorn and other foods to serve with her coffee. She burns the incense and the mixture of the aroma from the coffee and the incense make for a delightful atmosphere for conversations and stories. The chatter around her continues as Ellen methodically and deliberately goes through the motions of her coffee preparations and presentation ceremony. Every now and then she overhears comments and adds hers, if not, she remains in the background, quietly serving and sharing. After the first round-awol, and then the second Kal’eyti, and then the third, bereka, she decides to continue to the fourth-deredja. She then washes her cups and saucers and puts everything away in a neat box-ready for the next time. In 2002, members of NUEW met to talk about the organization and ways to increase their membership and participation of the women in the community. They decided that the traditional coffee ceremony was a fun and great way to bring the women together and use the gathering as a mobilization and registration tool. As with any new initiative, there were some who pooh-poohed the idea and its relevance, but Ellen and her team persevered and the very first NUEW Coffee Ceremony was held on 13 January 2002. The women brought cake, breads, nuts and other snacks to share at the inaugural event. They have continued that tradition for the last 12 years. Over the years, they have bought utensils, cups, saucers, pots and pans, and other accessories used for the Ceremony. The inaugural Coffee Ceremony coincided with the NUEW launch of its ambitious project to build training centers throughout Eritrea. The DC-Chapter was given the Senafe Project. At first, just like the Coffee Ceremony, there were some who underestimated the ability of the NUEW-DC with its community to carry out the project and succeed. History and the Eritrean women in the DC metro area would prove them wrong. It was during the Coffee Ceremonies that they disseminated information on the project and solicited help from community members. The NUEW was encouraged by the community to carry on and complete the noble effort. 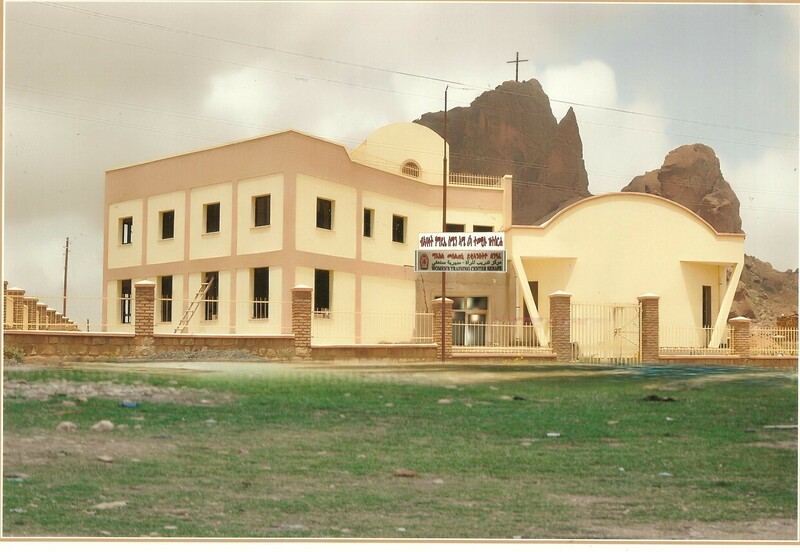 Despite snags in the construction and the increasing costs over the years, not to mention the many upheavals in the various fundraising efforts, the Women’s Training Center in Senafe was completed and inaugurated in July 2012. Many short seminars and programs have been held at these Coffee Ceremonies. The women have come together to build long lasting relationships and share information and ideas on child care, health, social and economic issues in the community. They have come together to celebrate achievements and to mourn losses, they have built and sustained their community. The Coffee Ceremonies and their impact on the community may not have been recorded in the annals of NUEW-DC, but have been etched forever in the hearts and minds of the many thousands who have sipped a cup or two over the years and listened to the words of wisdom and encouragement served with it. 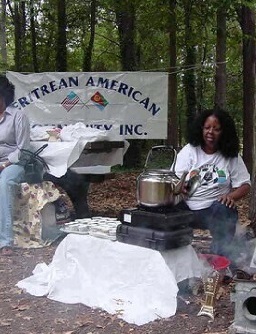 Eritrean women remain the backbone of the society and the traditional Coffee Ceremony has remained a staple in their endeavors, at home and in the community. Ellen continues to mentor young Eritreans by example, to carry on the mantle and shoulder their responsibilities in the community. She has been instrumental in bringing the women from the various local Churches to participate in the various NUEW events including the annual International Women’s Day celebrations. She reamins supportive of the youth in the community and encourages their participation. 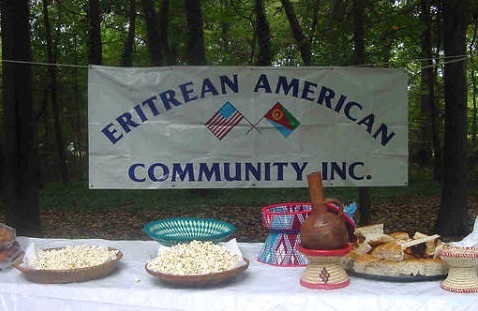 On 7 May 2005, at a Mother’s Day event sponsored by the National Union of Eritrean Youth and Students DC chapter (NUEYS-DC), Ellen Kidane was recognized as “Mother of the Year” for her dedication to the Eritrean community and particularly to the youth. She was awarded a “Certificate of Recognition” with a wonderful message of appreciation. She also received a beautiful Netsala, a traditional scarf, as a gift. With the exception of one Coffee Ceremony, Ellen has served at all the bimonthly ceremonies and continues to do so today. The women have revered her efforts and has won the hearts of the youth who call her Mama Ellen. 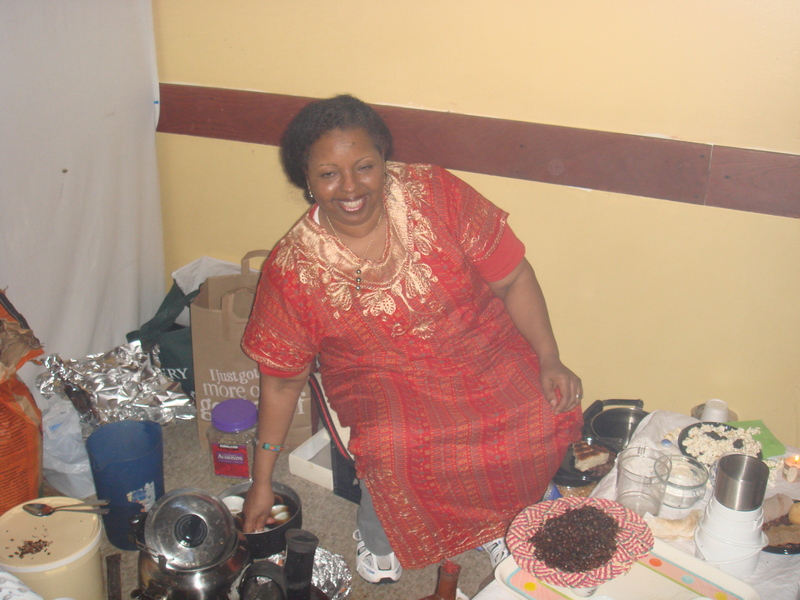 As The NUEW gets ready to celebrate the 12th Anniversary of the Coffee Ceremony, I salute all the women of Eritrea and Ms. Ellen Kidane, a loving wife, a dedicated mother, a dotting grandmother, an incredible woman of insight and fortitude and a selfless member of the Eritrean community in the Washington, DC area. Her leadership, friendship and extraordinary tact and maturity in dealing with others has earned her the love and respect of many…including mine. 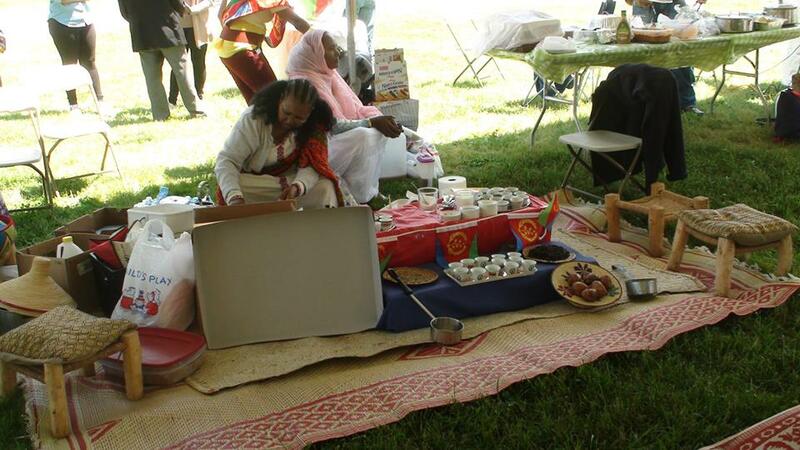 On 4 January 2014 Eritreans in the Washington, DC area, and most especially the women, will be celebrating the 12th Anniversary since the National Union of Eritrean Women-DC Chapter began the bimonthly (every two months) Coffee Ceremony to be held at the Eritrean Cultural & Civic Center in Washington, DC. I will be there to take in the aroma of the coffee and listen to the voices of wisdom. Congratulations to NUEW-DC Chapter and Ms. Ellen… they have both come a long way! This entry was posted in Uncategorized and tagged Africa, Ellen Kidane, Eritrea, Eritrean community, Mama Sara. Bookmark the permalink.